Discussion in 'Luthier's Guitar & Bass Technical Discussion' started by semi-hollowbody, Apr 17, 2016. A: Cost. Everything about manufacturing is the bottom line. B: Reliability. It's just easier for a quick connect to fail. Elantric, SnidelyWhiplash, Scrapperz and 1 other person like this. C: except in specific narrow cases soldering is actually faster and easier for the experienced tech. i've had to raise my prices for installing EMGs since they went with the connectors everywhere, it's literally harder and more time-consuming for me to figure out and wire up than when the stuff was just soldered. Chrome Dinette, Scrapperz and Killed_by_Death like this. Thank god pickups aren't easier to install as I would just be changing them constantly. todaystomorrow, deathrider817, dex17 and 10 others like this. Lemmy had nothing to do with it. 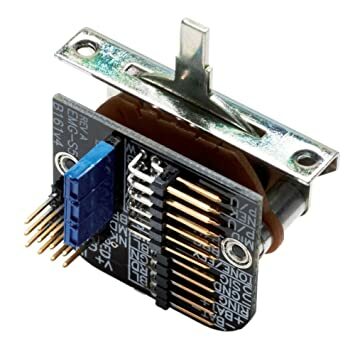 I experimented with connectors 20 years ago. They take up more room, require larger body routes to get connectors through, generally take longer to install if you add connectors yourself, and are a complete PITA to work with if you want to modify anything. Soldering is quick and easy. Scrapperz and aussie_owner like this. All of the above, plus, do you really think that the folks who surf this forum are a typical cross section of players? How many people do you think really swap pickups? 1% of owners? Pickup winders can't even determine a unanimous polarity and wind direction on a Tele set of pickups...imagine trying to coordinate a universal connector everyone would use. galibier_un, Mark Robinson and KSL like this. Point of failure. Yuck! Gretsch did this in the 60s. Corosion has caused many failures and made me a lot of money! There's like 40 connectors on that thing and they didn't have even a basic description of the switching scheme for years. Yep. You may think "everyone" who buys a guitar thinks like the average TGP pickup swapper. The truth is that the vast majority of players don't change pickups....ever. Better and greedier minds have figured out where to use quick connects and where not to. Epiphone hollow bodies? Yes. Fender Teles? no. MrLahey and walterw like this. So I'm not the only one who hates those stupid things? Last time I put EMGs in a guitar I just bought extra 25K pots threw out the PCB board attached ones that came with the pickups, cut all the connectors off their harness and soldered everything making life much easier and quicker. The only quick connect on EMGs should be at the pickup. Sold and installed a bunch of those Duncan Liberators for guys wanting to switch pickups all the time. They ended up not using them much, were troublesome in their performance compared to soldered connections, etc. About half had me remove them in less than a year. Connectors are one of those ideas that sounds like a great idea - but in the real world, just aren't as cool as the expectations. Boy I wish I knew. It's just stupid. Data transmission is far more sensitive than guitar wiring. It works fine for computers. Putting pickups in a 335 type guitar could be a 15 min job. From what I understand, Seymour just prefers the vintage-aspect of soldering. Personally, I'd love a universal system of swapping, but I can see why companies wouldn't be cool with that. The problem there is that the wire EMG now uses doesn't solder as well, the insulation melts way more quickly. It's the worst of both worlds. From what I understand, Seymour just prefers the vintage-aspect of soldering. Him and everybody else who installs them for a living. Are you kidding? Like @Ron Thorn says, the companies can't even agree on what color wires go where or which way the magnets go in! Elantric, Mincer and CharlyG like this. It's been a loooong time since I put EMGs in anything for myself or any customers so I can't remember if it melted quick or not, I certainly believe you when you say it does though. I just knew that after my first time dealing with the plug stuff when they first came out I wasn't about to do it again the second time and ditched the stock pots and all that. High voltage connections are self cleaning. Wireless connectors are fine. Pickups do not generate high voltages. Solder is appropriate. My solder joints are special.